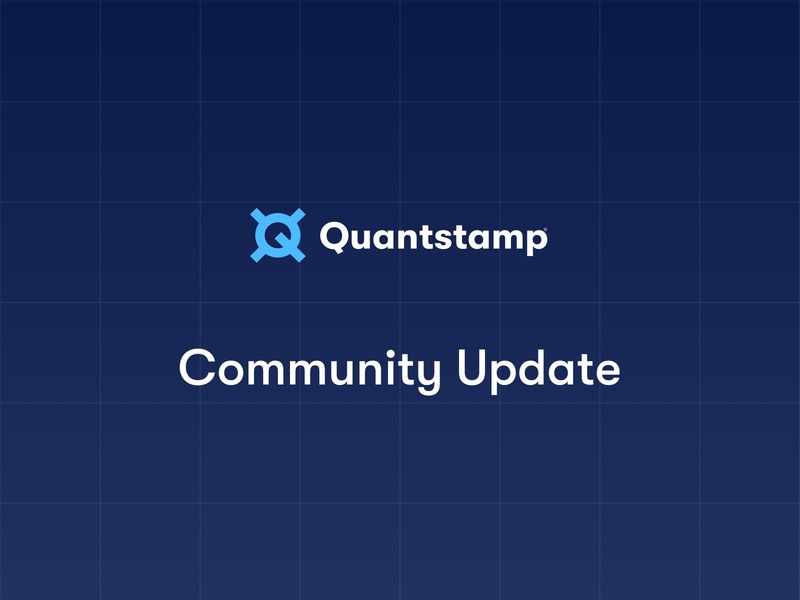 We’re making good progress on our new UI for the Quanstamp Protocol. 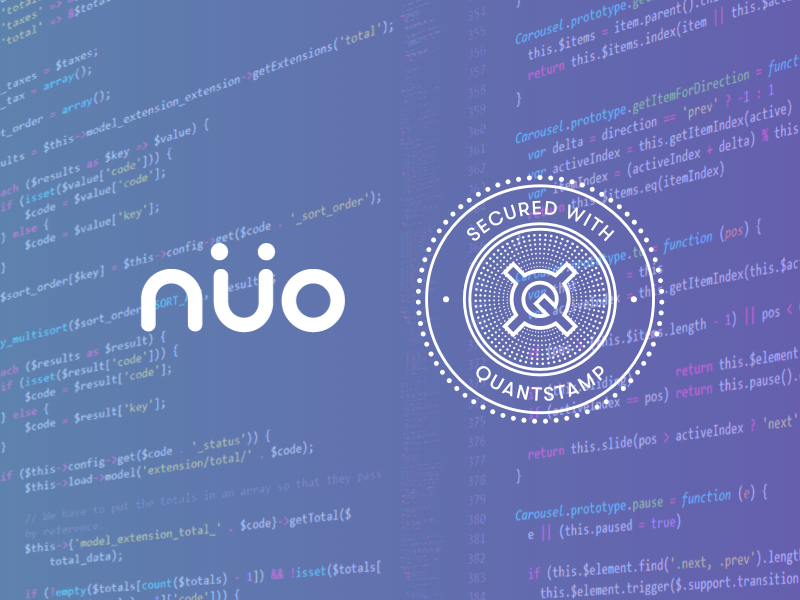 The new interface will be designed to make it much more straightforward and intuitive to scan smart contracts, while also providing live statistics on the Quantstamp Protocol network. Users should be able to see information such as auditing node stats and network events updated as available in real time. 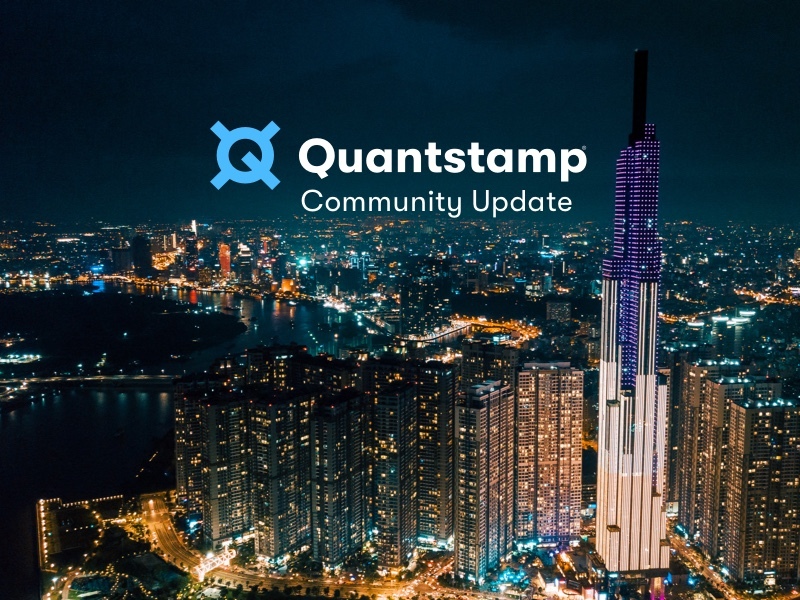 We officially announced establishing our Japanese subsidiary Quantstamp Japan GK*. This establishment was assisted by investment from Nomura as well as Digital Garage Incubation. 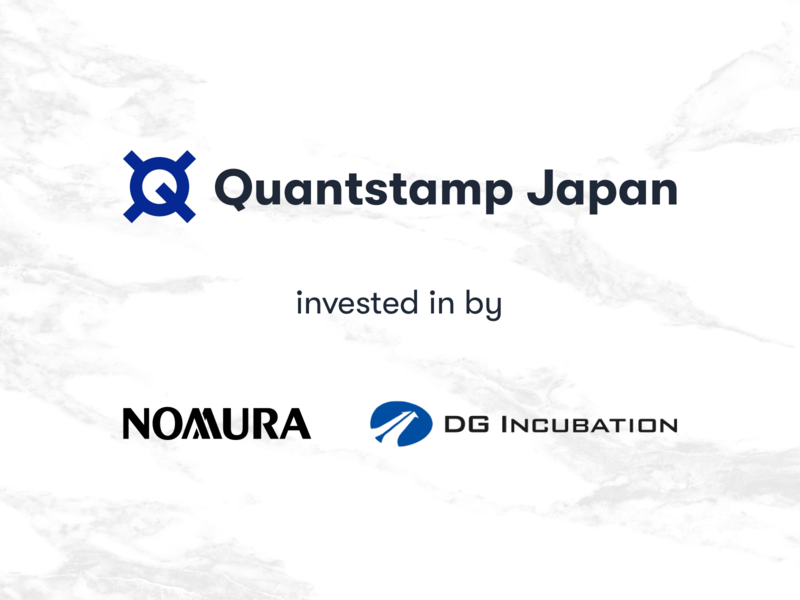 Through Quantstamp Japan GK, we aim to help Japanese startups and enterprises use secure blockchain technology. News of our Japanese expansion was extremely well received by the media and was covered by Cointelegraph, CoinDesk, and many other leading publications. 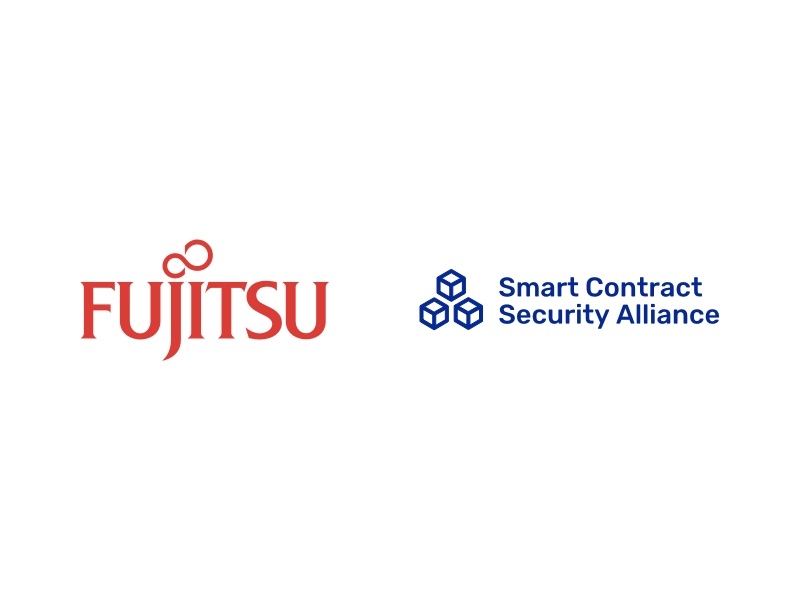 Also in March, we were happy to announce that Fujitsu R&D Center has joined the Smart Contract Security Alliance, a standards organization we co-founded. 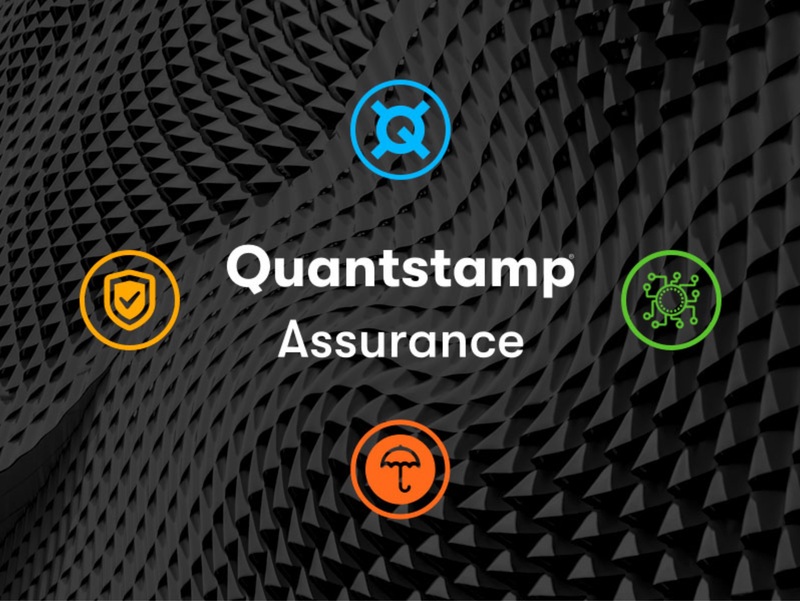 Dedicated to improving the professionalism of the smart contract security industry, the mission of the Smart Contract Security Alliance includes working with members to develop accepted standards for smart contract audits as well as secure smart contract development. Fujitsu R&D Center is a research arm of Fujitsu, the top IT services provider in Japan. 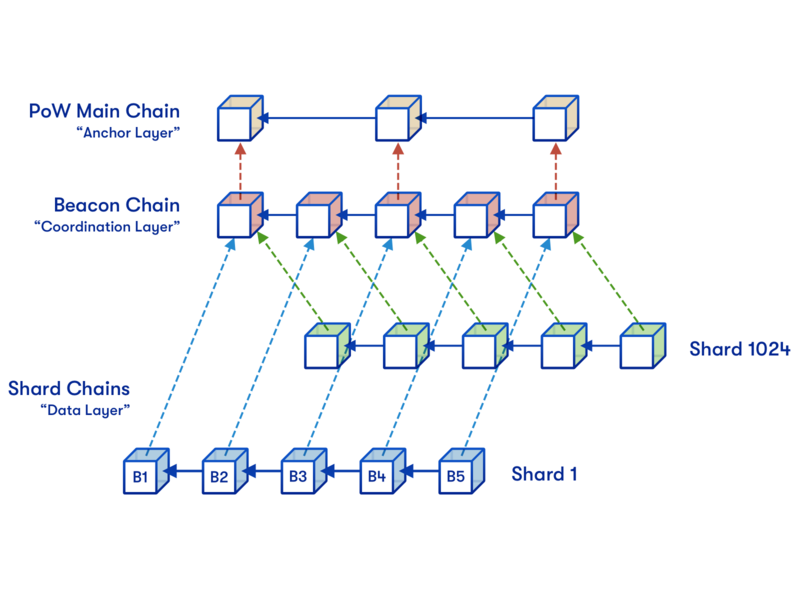 Fujitsu is actively researching blockchain technology. In March 2018, they developed software that detects potential vulnerabilities in Ethereum smart contracts and, in July 2017, the company increased the speed of Hyperledger transactions by 270% by improving the communication between blockchain applications and the underlying blockchain. We are pleased to have them join the alliance. We audited Hub Token, the token of the Human Trust Protocol. Founded by Eric Ly, co-founder of LinkedIn, Hub aims to create a reliable record of reputation for the internet. 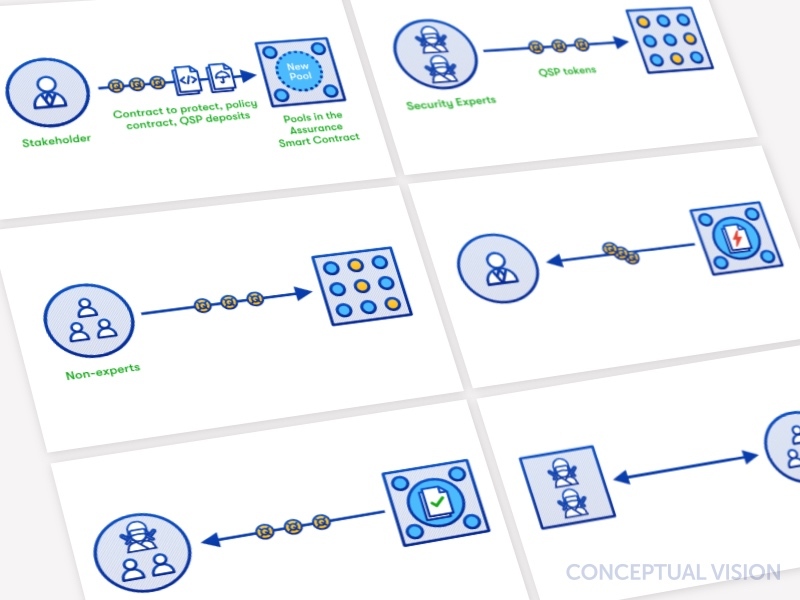 By decentralizing reputation and tying it to a record of verifiable interactions, Hub aims to create a self-sovereign, verifiable reputation record that users can carry from one platform to the next. As a protocol for trust, Hub has the potential to unlock a new layer of value for the internet. We’re happy to have audited Hub token. In addition to having audited Hub Token, we are also in the process of auditing Financie. Founded by Hironao Kunimitsu, CEO of Gumi, Financie is a “dream sharing service” which aims to act as a social crowdfunding platform. By connecting those who wish to raise funds for their dream projects with fans or supporters, it aims to allow people to achieve their goals and aspirations through the support of the community. With a public beta currently released in Japan, Financie plan to have a global release later this year. In the space of our three-month tenure, we created a minimum viable product demo version of our protocol which we showed at YC Demo Day. It was an incredibly fruitful and rewarding time for our team. This year we also participated in YC but in a different way - as alumni. 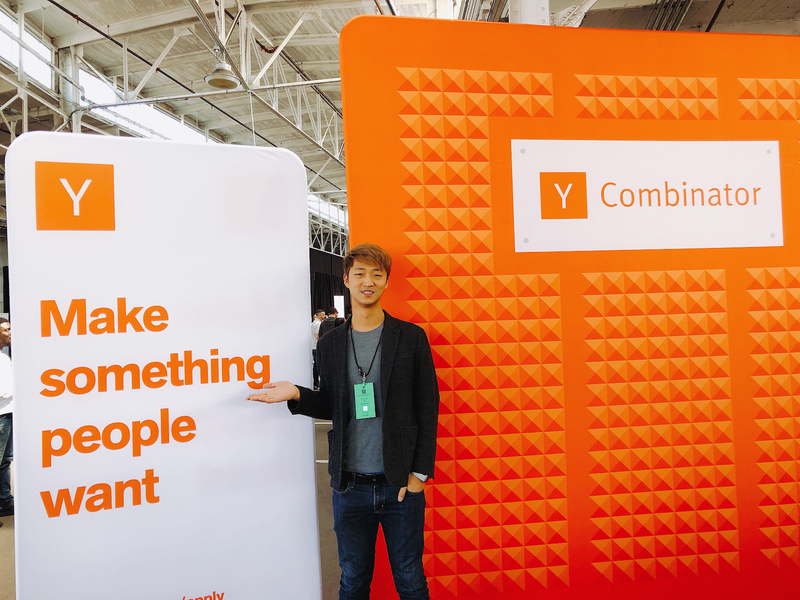 On YC Alumni Demo Day, we had a chance to give advice to the current Y-Combinator teams and enjoyed watching their presentations. We were thrilled to sponsor the first Unchained Live! 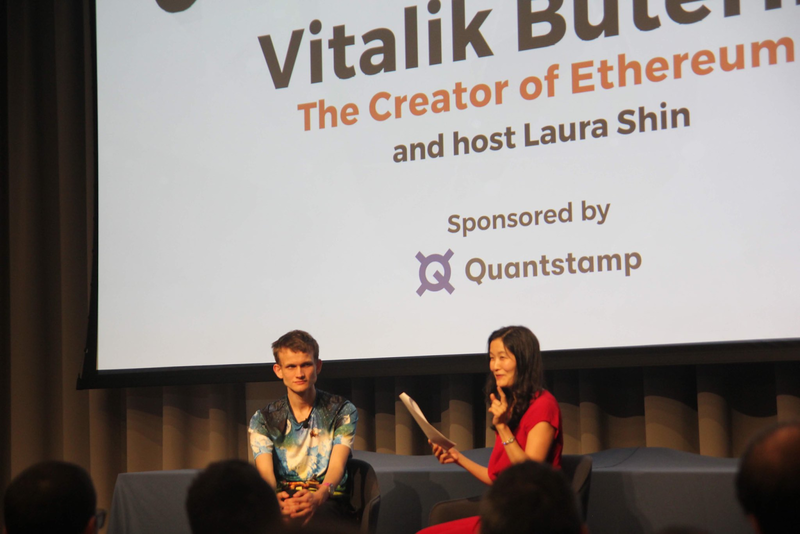 Event featuring Vitalik Buterin. You can view the recording of the event here. Hosted by Laura Shin, Unchained is one of the most highly-regarded podcasts covering the blockchain industry. Laura interviews top crypto developers, projects, and influencers and covers their insight into current events and hot topics in the crypto-sphere. 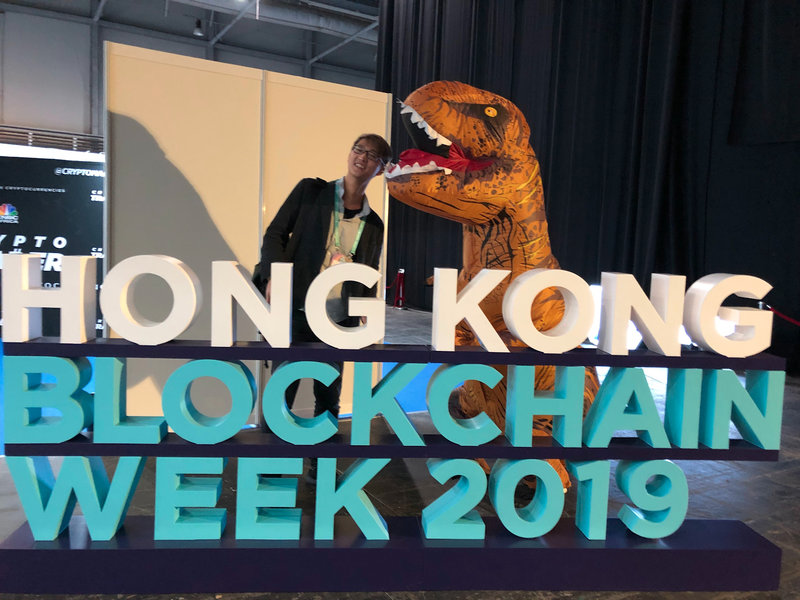 In March, we flew to Hong Kong to participate in Hong Kong Blockchain Week. We spoke on the main stage in a panel with Hedera Hashgraph, discussing the importance of blockchain security to the ecosystem. 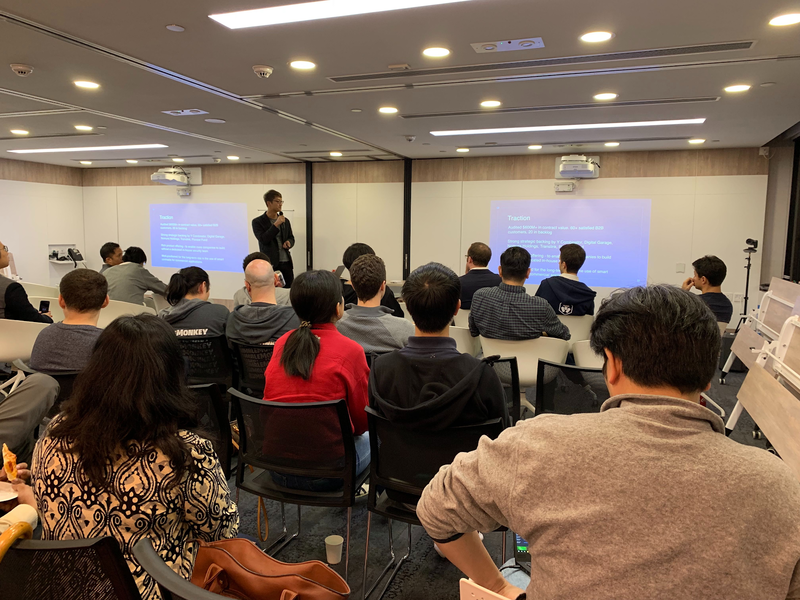 We also held a joint meetup with Crypto.com, a project we audited. Our CEO Richard Ma joined Crypto.com’s CEO Kris Marszalek in discussing mainstream adoption and security of cryptocurrency and blockchain technology. Makers of the MCO Visa Card, which allows users to spend cryptocurrency and get cash back rewards, Crypto.com is now working on Crypto.com chain, a project that aims to make cryptocurrency payments easy and rewarding for both customers and merchants. 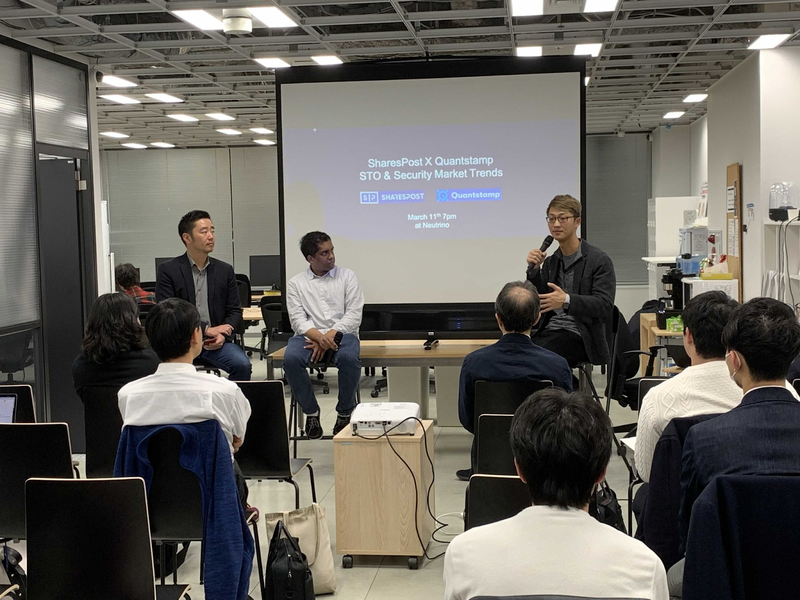 In early March, we hosted a joint meetup in Tokyo with SharePost, a securities marketplace which is also developing GLASS - a marketplace for digital securities. We talked about STOs and security market trends. With legislation on blockchain starting to come to fruition this year around the world, STOs have been a hot topic and we were glad to engage in the discussion along with SharesPost. As a member of the Chamber of Digital Commerce, we attended the DC Blockchain Summit. 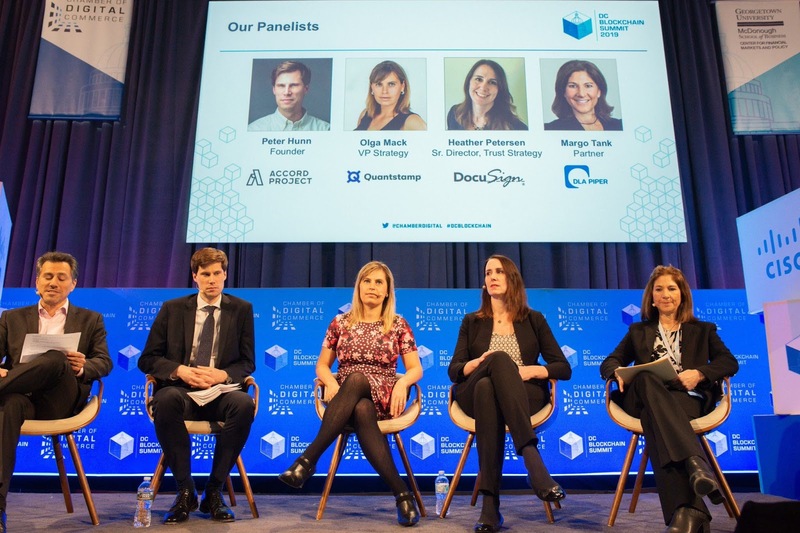 Held in partnership with Georgetown University’s Center for Financial Markets and Policy, the summit featured Congressional representatives as well as advisors to government officials. We’re proud to be part of the Chamber of Digital Commerce’s Executive Committee, alongside companies and projects such as MakerDAO, Cumberland Mining, and PwC. Still want to hear more? Note: This update includes information and forward-looking statements about upcoming events and concepts under continuing development. Schedules, features, and functionality are subject to change or cancellation at any time, external dependencies, evolving regulatory frameworks, and/or factors beyond our control and you are not to place undue reliance on this information or any forward-looking statements. FOR AVOIDANCE OF DOUBT, THIS CONTENT, INCLUDING ANY ASSOCIATED SERVICES OR MATERIALS, SHALL NOT BE CONSIDERED OR RELIED UPON AS ANY FORM OF FINANCIAL, INVESTMENT, TAX, LEGAL, REGULATORY, OR OTHER ADVICE.